Some dogs are slow eaters, setting aside their opportunity to appreciate each bite. On the other hand, others appear to gulp down their food without thinking about what it is they’re eating. However, eating too fast can lead to a life-threatening disease in dogs called Bloat (gastric dilatation-volvulus, GDV). The American Kennel Club states that this can occur when the stomach (or intestines) expands and may twist in the abdomen. Symptoms of GDV include a change in behaviour or restlessness, increased breathing rate or effort, excessive drooling, vomiting white froth or trying, unsuccessfully, to vomit. Bloat has a higher chance of occurring in large, deep-chested breeds such as German Shepherds, Dobermans, Saint Bernards, Great Danes. 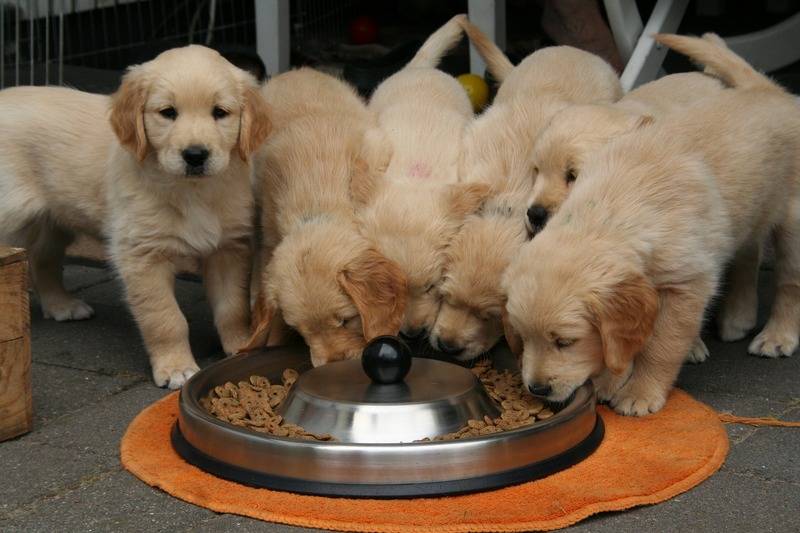 Slowing down your dog’s intake of food, however, can significantly reduce the risk. So how can you help your dog eat slower? Studies have shown the risk of GDV increases with age and is five times more likely in pure-bred dogs than in cross-breeds. Body weight is also strongly associated with increased odds of GDV: dogs weighing more than 40kg are significantly more likely to suffer from the condition than those weighing less than 10kg. If there is even a remote chance a dog appears bloated, contact your vet immediately.